BACK ON THE MARKET! Brand New Privacy Fence and Brand New AC and Furnace (7/18). Welcome to this charmer in Schnitzelburg! Step into the living room and notice the gleaming hardwood floors which run throughout the majority of the home. The kitchen is open, large, and updated with new cabinets and new appliances. Off the kitchen is a great mud room with laundry area. The home has been freshly painted! The quaint backyard offers a concrete walkway from the private gravel 2-car parking pad to the house. The large storage shed is perfect for gardening tools and bicycles. 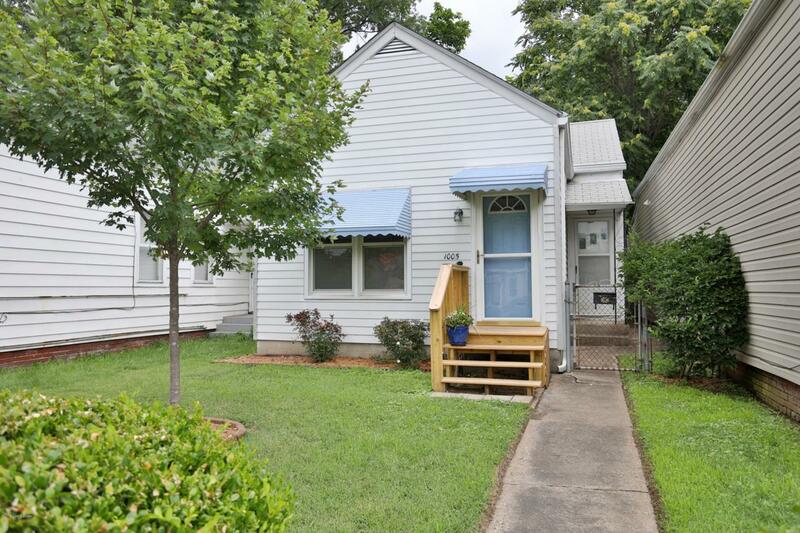 While this is a one bedroom home, you could reconfigure it at a later date to 2 bedrooms. Seller is making recommended changes based on a recent inspection.